Finnish Progressive Metal band SIMULACRUM will release their second album “Sky Divided” on August 28th through Inverse Records. Originally it started off in 1999 by an idea of Christian “Chrism” Pulkkinen, inspired by bands like Stratovarius and Dream Theater. Then it was formed as a band and they have released their debut album “The Master And The Simulacrum” in 2012. 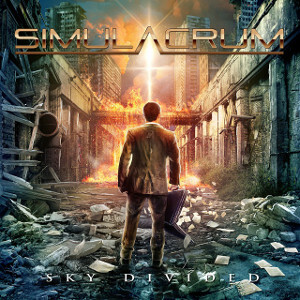 SIMULACRUM delivers heavy progressive sound and melodic lines with Sci-Fi lyrics. The band has played shows together with Seventh Wonder, Machinae Supremacy, Adamantra, Masterstroke, Oddland and Status Minor to mention a few. In this September SIMULACRUM will have some shows in Finland with BURNING POINT we've featured before on this site and our radio show ROCK OR DIE Monthly.